New DOJ Spox Is From Alliance Defending Freedom - Joe.My.God. The Alliance Defending Freedom, arguably the most successful and most viciously anti-LGBT Christian hate group, now has one of their own speaking for the DOJ. 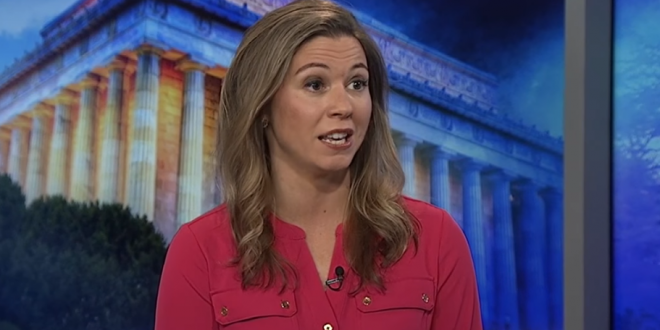 The Justice Department officially has a new top spokesperson: Kerri Kupec has been named director of its Office of Public Affairs, The Daily Beast has learned. Sarah Isgur Flores, the previous director of public affairs for the department, has moved to Deputy Attorney General Rod Rosenstein’s office, multiple Justice Department sources confirmed. Kupec, who has been with ADF since 2014, also assisted White House staff in working for the confirmation of Supreme Court nominee Brett Kavanaugh. She has a law degree from Liberty University, founded by the late homophobic televangelist Jerry Falwell. She was an attorney and director of communications for ADF. Kupec first appeared on JMG in July when she moderated the “Religious Liberty Summit” at which Jeff Sessions announced the creation of the DOJ’s Religious Liberty Task Force. In the video below she speaks at a rally for anti-LGBT Colorado baker Jack Phillips.